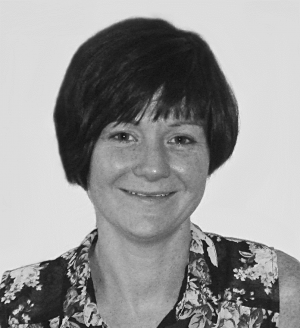 Jenny works as a solicitor in the private client team at the Skipton office. Jenny has over ten years’ experience in Private Client work. Jenny qualified as a solicitor in 2011 after gaining a 2:1 in Law at Newcastle Upon Tyne University and completing the legal practice course at the College of Law in York. She completed her training contract at Savage Crangle Solicitors progressing to become head of the Private Client department at Savage Crangle Solicitors in 2013. She came to work for AWB Charlesworth Solicitors in June 2016 and was made an Associate Director in September 2018. In addition to being a qualified solicitor, Jenny is a full member of the Society of Trusts and Estate Practitioners (STEP). Jenny deals with a wide range of private client work. She drafts wills, administers estates, drafts and advises about trusts, provides inheritance tax planning and drafts lasting powers of attorneys and Court of Protection applications for clients with complex needs. Jenny also specialises in providing tax planning advice to farm owners, she is taking steps to become a Fellow of the Agricultural Law Association and intends to take further qualifications in this field. Jenny spends 40% of her time on estate administration with the rest of her work being a fairly equal mix of will and lasting powers of attorneys preparation, trust work, Court of Protection work and tax planning. Outside of the office Jenny enjoys spending time with her young family and socialising with friends. She is a keen supporter of the local community: she is a founding member of the Skipton Manorlands Support Group, a secretary of the local playgroup and enjoys acting in Embsay village pantomime. Jenny is an active runner and aims to complete London Marathon in 2020.